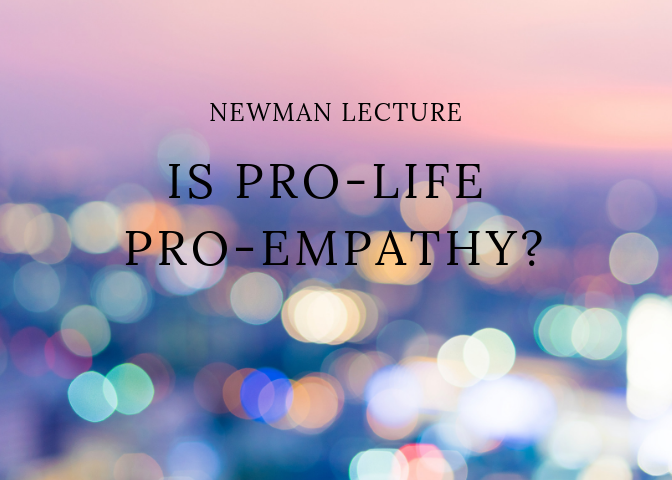 In this Newman Lecture, Jason Jones will speak through his own testimony, experience, and work as a movie producer on how he has experienced the pro-life approach to be the most empathetic approach to life issues. Jason Jones, president and founder of Whole Life America and pro-life film maker of "Bella" and "Crescendo" is a film producer, author, activist, and human rights worker. Jones was an Executive Producer on the 2006 film, Bella, winner of People's Choice Award at the 2006 Toronto International Film Festival. Jones has also produced films "The Stoning of Soraya M.", winner of the NAACP Image Award and LA Film Festival Audience Award. Other films Jones has produced include "Mother Marrianne: Portrait of a Saint", "Eyes to See", "Crescendo" and most recently in 2016, "Voiceless". His work directly aids the homeless, peoples facing genocide, and women with crisis pregnancies. Jones lives in Hawaii, where he works as president of Movie to Movement, a movement dedicated to producing and promoting films that contribute to cultivating a culture of life, love & beauty. He is also president to H.E.R.O., the Human Rights Education Organization, which trains, educates, and develops defenders of human rights. Parking is available in nearby lots on Monroe Ave, and is free after 5:00 PM. Attendance is free!